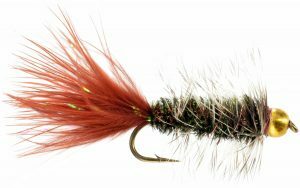 If you ask any fly fisherman with any experience at all to name his top ten, “must have” flies, I guarantee that 9 out of 10, at least, will include a Wooly Bugger. And the handful who don’t mention it are likely just contrarians. But why? 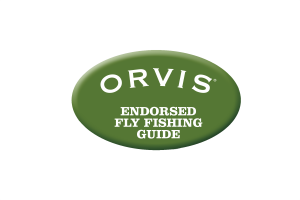 Why is this such a popular fly that is a staple in nearly every angler’s fly box? I suppose everyone might have their own answer to that question, but for me, the short answer is versatility. 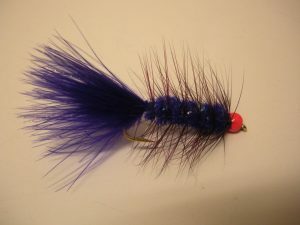 The Wooly Bugger was one of the first flies I ever learned about and with it, over my many years of fly fishing, I’ve caught rainbow trout, brown trout, brook trout, largemouth bass, smallmouth bass, white bass, rock bass, mooneye, carp, catfish, crappie, bluegill, striper, gar, walleye, and salmon. And I’ve caught fish with it in lakes, ponds, deep rivers, shallow mountain streams, and tailwaters. I suspect the only reason I’ve never caught fish on it in saltwater is because I’ve never tried. What’s it supposed to be? That’s the beauty of it. Depending on how you tie it and how you fish it, it can represent a number of food items. For instance, in black and retrieved slowly, it probably represents a leech. In lighter colors and stripped more quickly and erratically, it looks like a baitfish. With a combination of olive and/or rusty colors, it resembles a crayfish. In darker colors and fished on a dead drift, it could imitate a stonefly or hellgrammite nymph. In bright colors, maybe with an egg on the front, you have a fly for salmon, steelhead, or many stocked trout. Because of its versatility, it is a recommended fly for any month of the year, but I selected it for November for a couple of reasons. One, there are just not many hatches or any unusual flies to single out in November. Two, this is one of the big months to fish for large browns in the park. Post spawn brown trout are hungry and winter is coming soon, so while you can certainly catch them on smaller flies, why not show them a little bigger meal? Wooly Buggers are big fish flies. Because it looks like a big meal is probably the main reason it’s such a successful fly. Next time you’re not sure what the fish are biting on, tie on a Bugger. Dead drift it in a riffle or strip it through a deep flat. Slowly creep it along the bottom or quickly skim it across the surface. Play with it. What you find may surprise you!